What does it take to pick up your feet and start taking the steps toward your Dream Life? Have you ever envisioned yourself living by the beach without getting approval from your boss? How about being able to set your own hours and having to set the limit to stop working because you just love doing your work? Maybe you've always wanted to call yourself boss and work on your own terms? Do you LOVE what you are currently doing? Is there something that keeps you up at night and you're itching to do something? What makes you excited to wake up to a new day? Wherever you are, when you hear that tiny voice inside you, grab your notebook and jot down what it's saying. Keep a journal of these ideas and thoughts. Your Journey is most valuable thing during this stage. If writing is difficult for you, record a voice message on your phone, or better yet, record a daily video. If you do this everyday and act on 1 point everyday, you will not believe how far you will go in a short matter of time. No one is an overnight success. Finding your passion is the difficult part. Once you have figure that piece out, map our your proposed plan. This is just an initial stage. Get comfortable that there will be changes and the final plan may look nothing like the initial plan. Nothing is perfect the first pass, second pass, or maybe even in the hundredth pass. Be flexible with changes when you have obtained new knowledge that shows you need to go in a different direction. Pursue your passion like it's an obsession. Continue to mark your progress, your pitfalls, and your takeaways no matter how small the steps are. The beauty lies in the process. This is not only talking about $$$. Though, if you are willing to part with your money (that is a good sign) and pay for coaching, this will not only grow your personal development deeper and faster, what you receive will outweigh the cost of the coaching. Don't settle for free coaching because the truth is, freebie can only get you so far. When you are investing in your knowledge base and developing necessary skills, this is NOT considered a debt but an asset. That being said, you also need to be willing to go for it. And dive deep into the skills, learning the tools of the trade, marketing strategy, the whole nine yards. It will take TIME. And expect it will take a little time to get to your Ultimate BFHG (Big Fat Hairy Goal). I poured myself into Online Courses, Webinars, Bootcamps (where I had to leave my family and travel cross country or across state lines), and Masterminds. I knew this would increase my value tremendously and also help those who I was serving. It wasn't until I plunged thousands of dollars into coaching did I see the results I wanted. Become the BEST in Your Niche and Then Teach IT Baby! Yes, you heard me right. In order for you to be seen as an Expert in your field, you need to impart your knowledge onto others. Serve others who like you, were beginners absorbing what they needed to get to the next level of success. This is a very vital characteristic of great leaders. It wasn't their selling capability, their charisma, or even their knowledge. The fact that they were willing to impart that knowledge to help others become successful, is the reason why they are so successful. Perhaps initially when you started this entrepreneurship journey, you were seeking more money to release your family from the chains of being tied to a dead beat 9 to 5. When you really start to gain momentum, you may see that your focus will change to one of wanting others to succeed. When you don't hold back and continue to have a heart of giving back, you will see other opportunities arise. Other avenues to get your message across to impact others. You will find MORE meaning than you initially had when you started. Continue to grow in skill and also grow deeper. You will find that you are Becoming the Person that you Dreamed of Being. That transformation will happen right before you eyes and you will not want that process to stop! Dreams will stay dreams unless you take Action. Hey, thanks for stopping by! If you liked this stuff, go ahead and comment below and share. Great tips! I just started blogging and my plan is to eventually teach what I know to others. I don’t think I will go the blogging teaching route, but something in my niche of books and being a mother to a special needs child. That’s awesome Maria! I can’t wait to follow and see what you will be writing on your blog! I write down those ideas, too, when they come! 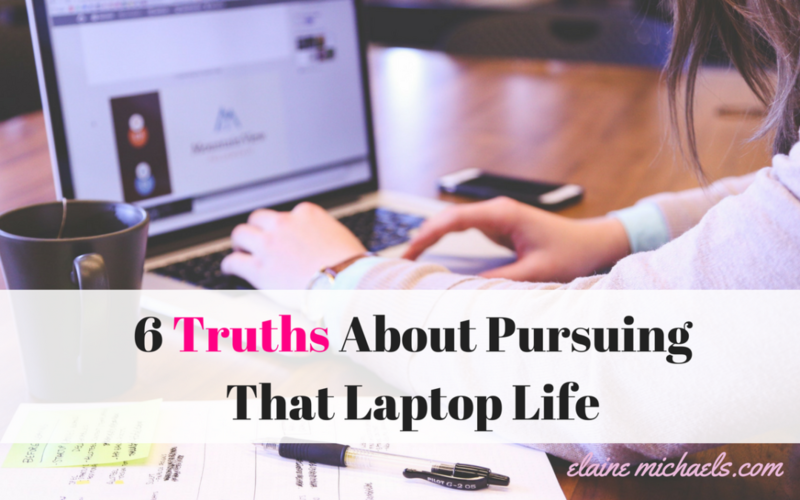 I also am in pursuit of the laptop life. My really big goals are the ones I am trying to nurture most, with trust. Hey Jeanine! Yes, I didn’t realize how powerful a journal was until i saw one of Jim Rohn’s videos. Our own personal journey’s are full of value! 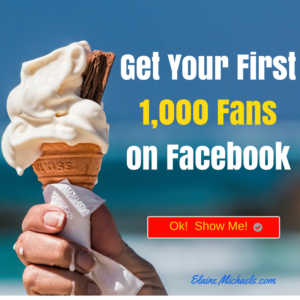 I totally agree in becoming the best in your niche. As a blogger, it’s very important to set high standards in my writings because readers want something unique! These are a great idea. I will take note of everything. This would be a great help for me. Really great tips! I think a lot of people expect overnight success and many successful people have been going for 5-6 years to reach the point they are now at. Patience and hard work is key! Absolutely Nikki. It is a process, learning, tweaking, and staying consistent! I am happy about where I am right now. Looking forward to doing more in my laptop life. But teaching it, maybe not yet. I wanna make more money though. I always heard, do not settle for less, this is so true for being a freelancer, we need to grow and improve our crafts from time to time. Keeping ourselves updated and into the beat. Success take time and you have to have patience and work hard. I always find it funny when people expect things to just fall in to there lap. Thank you for sharing this! It’s really helpful. These are very true. I think what stood out the most for me is being willing to pay the price. There is such a huge price to pay to be successful in this laptop lifestyle and you have to be prepared to pay it. Some great tips and advice here! I am currently living the laptop life and I think the hardest part is motivation as you have to rely on yourself! Some days are easy and some are harder all depending on how motivated I am feeling!